The United Kingdom is only topped by one other country- the US , in the number of times a country has hosted the prestigious Olympics Games. It hosted the 1908 Summer Olympics, the 1948 Summer Olympics, and the most recently concluded 2012 Summer Olympics. The 1948 Summer Olympics was the first Olympic Games held after World War II. It was supposed to be held in 1944 but was cancelled because of the war. All these three events were held in the city of London, as other bidders specifically Manchester and Birmingham failed in their respective attempts to get the deal. 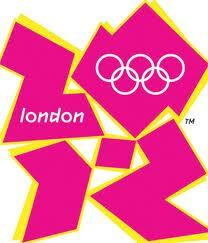 It is of special note that the first Olympics hosted by London was only the third to be held outside Athens, Greece. It was a very productive event for UK as it finished off with the most number of medals. It wasn’t as fortunate during the 1948 Olympics as it was only ranked 12th in the number of medals won. In the 2012 Olympics, the British contingent fared much better, placing 3rd in the ranking of number of medals won by country. The British Olympic Association oversees the organization of participating athletes for the team known as “Team GB” which stands for Great Britain, for the summer, winter and youth Olympics. Countries which are considered constituents of the United Kingdom of Great Britain and Northern Ireland include England, Northern Ireland, Scotland, and Wales. Also included are Crown Dependencies specifically Guemsey, Isle of Man, and Jersey and British Overseas Territories Anguilla, British Antarctic Territory, British Indian Ocean Territory, Falkland Islands, Gibraltar, Montserrat, Pitcairn Islands, Saint Helena, South Georgia, and Turks and Caicos Islands. Great Britain holds the distinction of being one of the very few countries represented in all Summer and Winter Olympics. The 2012 Summer Olympic Games, more popularly known as London 2012 was officially opened by no less than Queen Elizabeth II. The event required considerable redevelopment of various existing facilities and the construction of the Olympic Park. The program featured 26 sports in all.